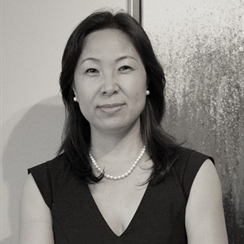 With 15 years of financial services experience, Jennifer Jiang is actively focused on providing comprehensive financial management and solutions to high-net worth individuals and families, estates and trusts, and charitable and business organizations. Jennifer has demonstrated a commitment to continuous education and has earned the professional designation of Certified Financial Planner (CFP) and Chartered Investment Manager (CIM). In addition Jennifer has a Bachelor of Arts degree in Business Administration. A resident of Toronto, Jennifer, in her spare time, likes to participate in yoga, hiking and dancing. Jennifer is an experienced financial services professional and will work with you every step of the way to help you progress towards achieving the goals and dreams you and your family share for your work and career, well-being, home, lifestyle and legacy.